I was excited when I opened this present at Christmas time. 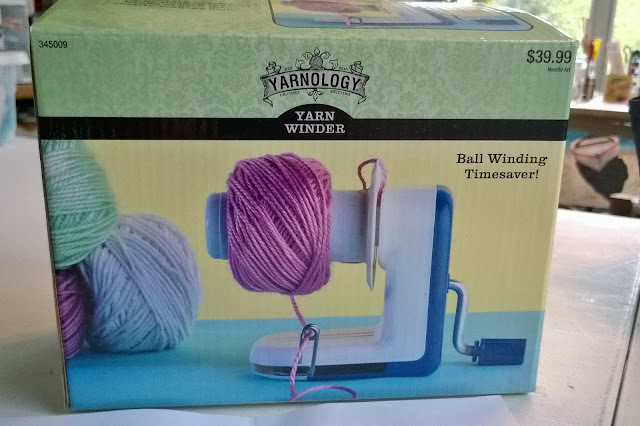 It had been on my “Crafts to Buy” list for a while. 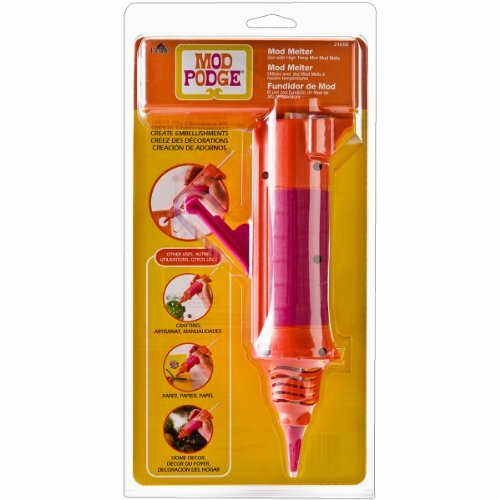 The Mod Melter is advertised as a tool that helps you make “molded embellishments, home décor accents, papercrafts and more.” The pictures of embellishments on the package let your imagination run wild. They show that you can paint, glue and add the embellishments to decorate your crafts. I immediately thought about mixed media projects or putting the embellishments into shadowboxes. On average the ModPodge Mod Melter costs anywhere from $17-25 depending on where you buy. The molds to use with it, ModPodge Mod Molds, are on average $9 each. 1. The Mod Melter is too big, circumference-wise, for a woman with small hands. It is uncomfortable to hold and nearly impossible to use one-handed. To get glue to come out you must press a trigger/lever. My fingers just can’t reach to let go and press the trigger again. I usually use one hand to hold the Mod Melter and the other to press the trigger and get the glue to come out. 2. The metal tip of the Mod Melter is not thin enough to reach the small corners of the intricate molds sold to use with it (Mod Molds). I would recommend having a small needle to poke at and fill the hard-to-reach corners. I also use it to poke at the air bubbles in your trinkets before they dry, if tapping slightly on the table doesn’t help. 3. Yes, you can see what you are working when using this gun as the makers claim, but I can also see my project just fine with the traditional glue “gun”. So, no real advantage here. 4. The cost of the glue sticks is much higher than normal glue sticks. ModPodge Mod Melts average from $8-18 a pack for 16 full-length sticks. Full-size hot glue sticks cost less than $3 for a pack of 10. 5. I could not get the embellishments to color as nicely as it showed in the pictures. I used acrylic paint several times and I was not completely happy with the results. I may try an enamel paint in the future. 6. Changing between colors of glue in your gun is not easy. I started using the white so I could paint my embellishments. When finished, I switched to a red color stick. At first, the glue came out with swirls of pink. I have already passed two whole red sticks through the gun and there are still traces of white. Not sure how many sticks it will take! Yes, this may give a cool swirl effect, but if it is not what you are looking for, it can get annoying. Thumbs down to: “no easy way to clean the gun between colors”. 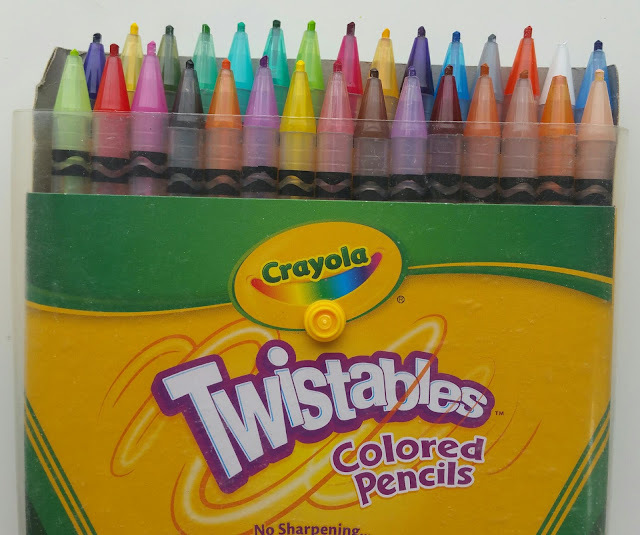 You will always have traces of the last color. 1. I love all the several types of molds available. They have your basic floral, but also industrial molds and trinket molds. You can use these molds on things other than crafts, I can see using them in cake decorating with fondant. 2. I love the variety of colors and textures available with the Mod Melts sticks. Some varieties include sea glass, metallics, neons, etc. In the future, I would love to use some of the metallic colors with the industrial mold to make gears and keys to embellish my crafts with. So cool and just plastic! If I were to design this item again, I would make it thinner and perhaps with a button, instead of a trigger/lever to be pushed down. If no button, I would make the lever shorter. I would also work on making a thinner tip, or even interchangeable size tips for intricate projects. This “glue gun” is not comfortable to use or easy to clean between colors. The supplies for it are rather expensive. I could not get acrylic paint to work well on the embellishments. Even though I am not sure I would buy it myself, I am glad I received it because I love all the cool molds and sticks available to use. When I really want to buy one, I make sure to use a coupon from my favorite craft store. I will be looking for a redesign of this product, as I am sure I am not the only one with these issues. Hope this helps! Who should buy this product? Beginner Crafter and beyond. It is really easy to use and anyone can use it. Labels: Acrylic Paint Beginner Crafter Crafty Product Review Glue Gun Glue Sticks If you like it. mixed media Mod Podge Molds shadowboxes Skip this Product!